Initially a very small farm and wine . 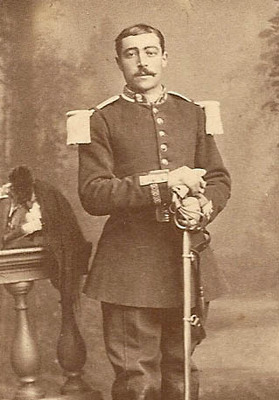 Our estate was created in 1869 by Mr. Pierre Guyot. 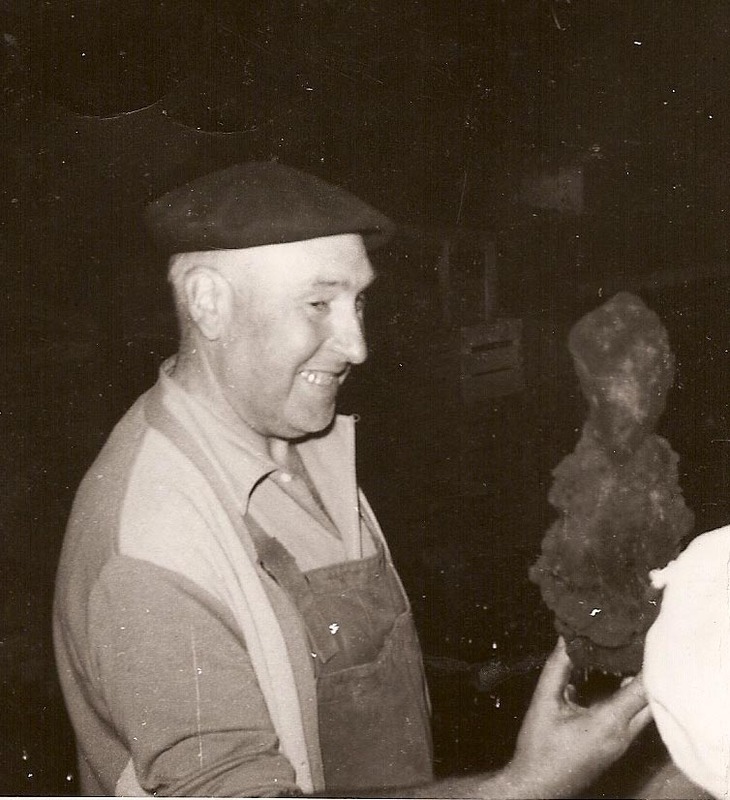 His son-in-law Jules Lamé, from a very poor family, took advantage of the phylloxera crisis to develop small-scale farming, being one of the first to graft the vines in our region and trade them. Little by little, the vine has gained the upper hand over the other productions, market gardening and fruit trees. From one war to another, dearly paid in our family, (4 years for Jules Lamé seriously wounded in 1915 and 5 years for his son Lucien from 1939 to 1945, prisoner of war in Germany) the domain evolved. Lucien had married Yvonne Delisle in August 1938, a year later it was the long start to the war. 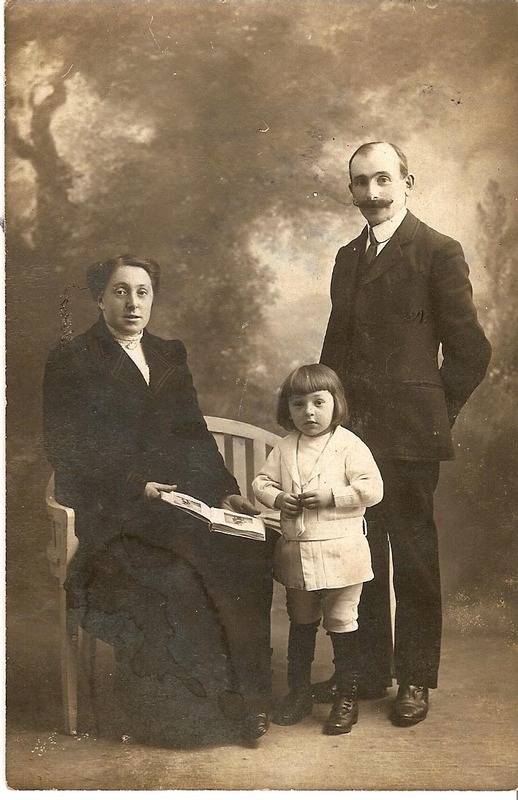 Until 1945 it was Yvonne, helped by her in-laws, who continued to maintain the estate. Yvonne in the vines, harvest 1942. 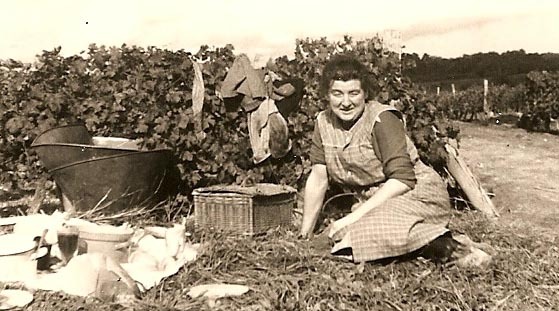 After returning from captivity in 1945, and after serious health problems inherited from his captivity, Lucien and Yvonne decided for the vintage of 1947 to bet on bottling their entire crop and sell it themselves. Harvest 1947 with grandfather Jules Lamé, grandmother Marie, Yvonne and Lucien. Indeed previously the wine was sold in bulk to traders. It is therefore 10,000 bottles delivered in bulk in a wagon parked in Saint Patrice, and repatriated in cart to the estate, which will be bottled with the vintage 1947. It was certainly at that time a memorable operation. This decision is the great upheaval of the history of our field . Indeed at the time all winegrowers sold the bulk of their harvest to traders. On the other hand, starting from scratch we had to find customers. And it took a few years, so when the business really started the winery was full of the three wonderful vintages 1947, 1948, 1949 which for a start helped well. 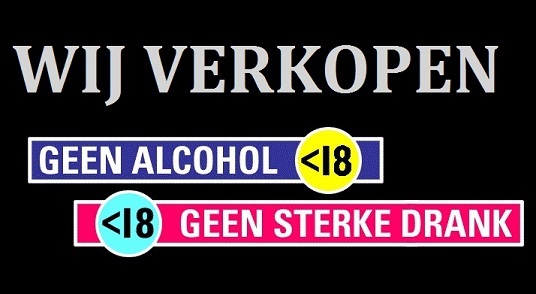 It was also necessary to create a label with a vineyard name. One might have thought that Lucien Lamé was, but they decided together to associate their two surnames "Lamé-Delisle" proof for the time of a true progressive spirit. Thanks to numerous medals obtained during this period and with a real commercial sense, the estate grew during this period to become exclusively wine-growing. 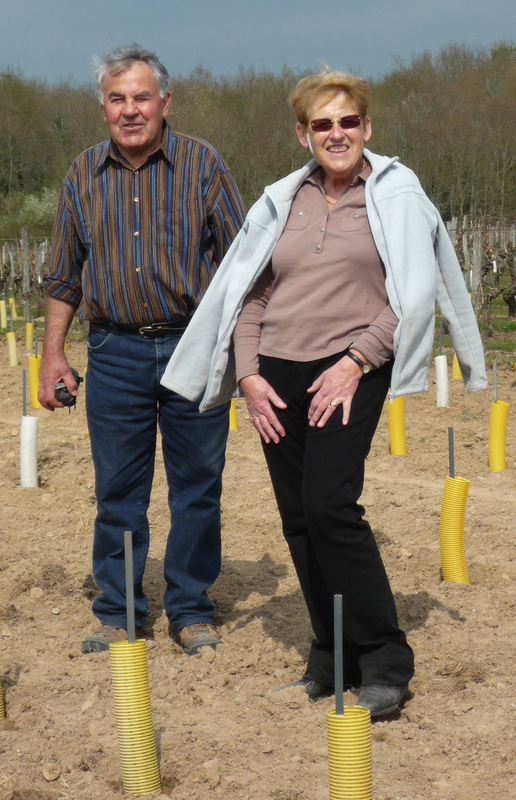 Their only daughter, Maryvonne, born after the war in 1946, married in 1965 a young winemaker of the neighboring commune of Benais, René Boucard. Being the third child of the Boucard family it is quite natural that he joined his wife's exploitation to work with her and her in-laws. 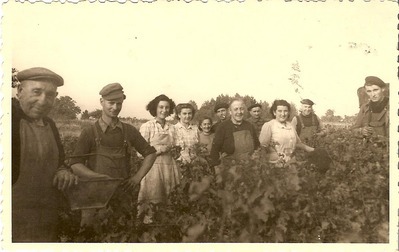 Photo of the Boucard family at the Chanteleuserie in Benais, during the harvest of 1949. We see little Rene in short pants, near the dog. 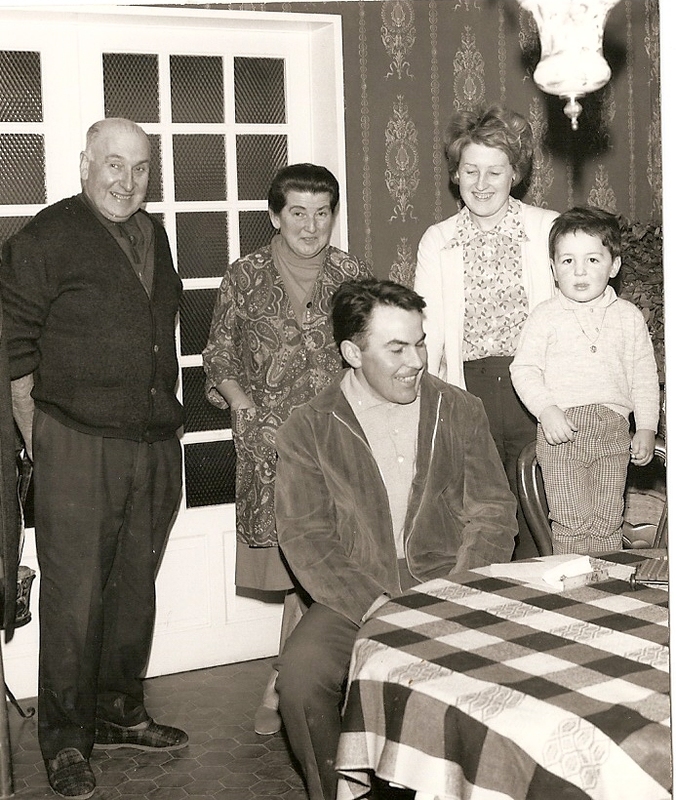 On his left is Marcel Boucard the grandfather and on the cart Raoul Boucard his father. 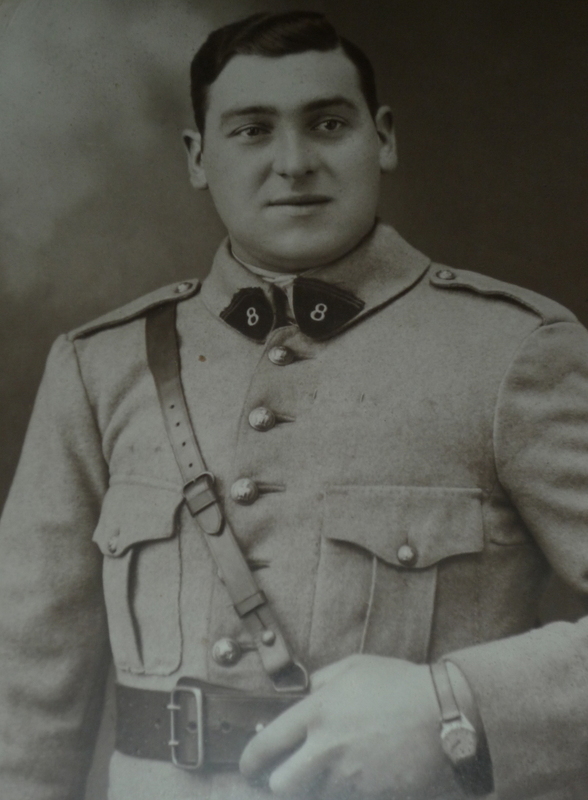 Before that, he also had to donate several months of his life in Algeria during the war of independence. private wine merchants and especially restaurateurs. 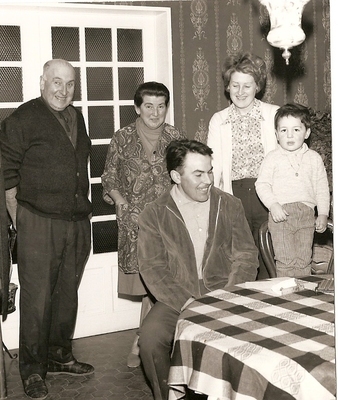 In the photo (from left to right), Lucien and Yvonne Lamé, René and Maryvonne Boucard and Philippe. René and Maryvonne had two children. 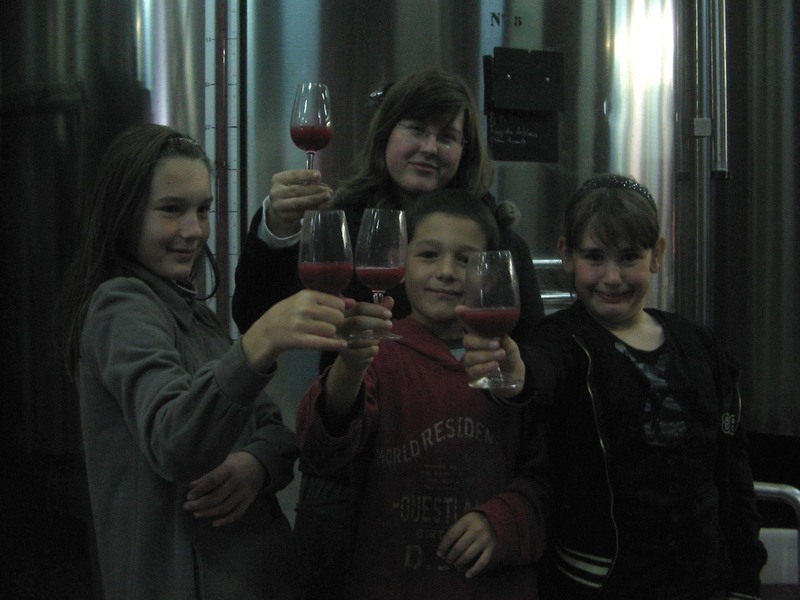 Both of them "bathed" from childhood in the world of wine naturally followed wine studies. 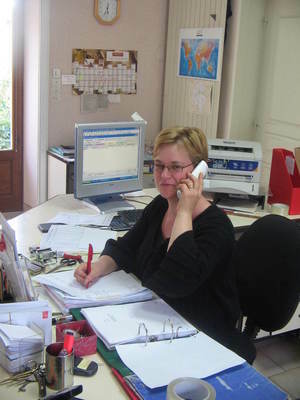 Philippe born in 1967 holds a BTS viti-oenology done in Bordeaux and Stéphanie born in 1971 holds a national diploma in oenology made in Monptellier. 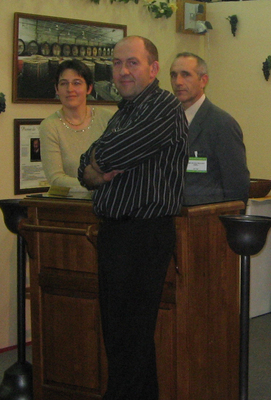 Philippe joined the farm in 1990, accompanied by his wife Patricia. From that time and because of the serious health problems of Maryvonne, Patricia immediately resumes the commercial and accounting part and it is it today that you will have on the telephone. Stéphanie joined the farm in 1999, accompanied by her husband Eric Degaugue, himself a son of a vine grower in Restigné. Eric has a training as a mechanic, which in our trade is very useful. Today René and Maryvonne are retired, but they are not far from exploitation. It is a profession that is made by passion without being able to really abandon it. 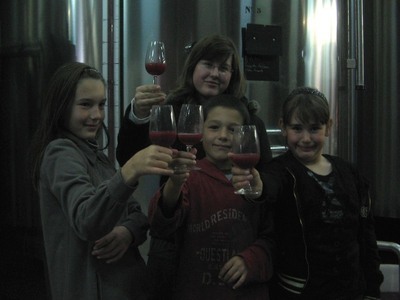 The sixth generation is still a little young, but they are already experts in tasting grape juice.